I’m very fortunate to be married someone to makes killer Italian food. Seriously, the best! 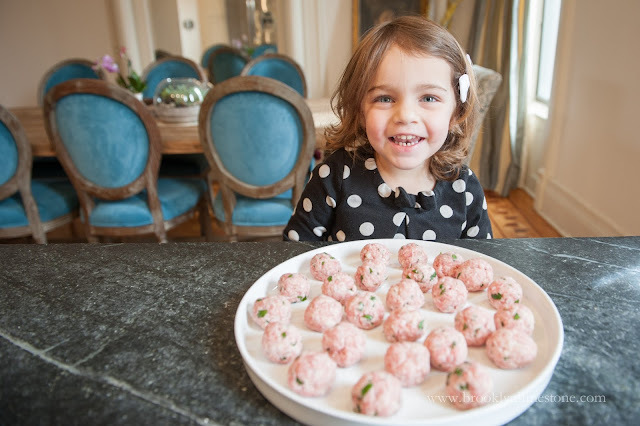 So I rarely bother to attempt Italian recipes myself as it’s hard to compete with the master. 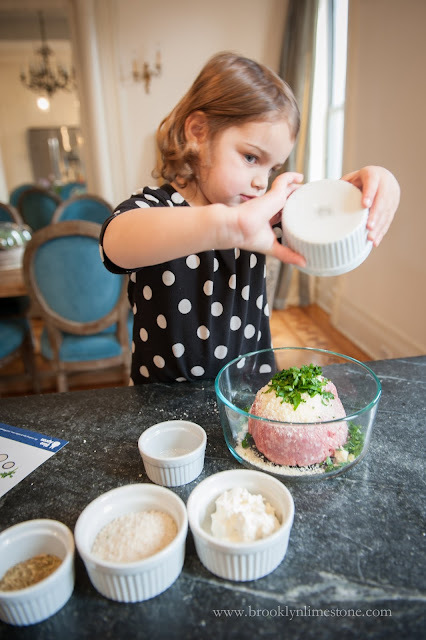 But when I saw this recipe for Pork Meatballs and Polenta on Blue Apron, my interest was piqued. I had never made polenta before and figured it would make a good new skill to get under my cooking belt (OMG - so easy! How did I not know this already??). 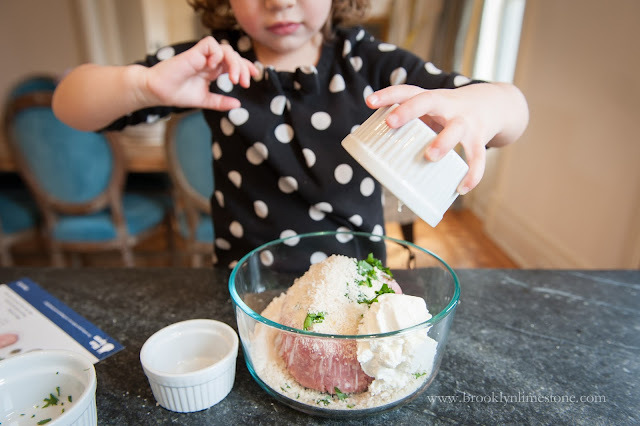 The added bonus is that it’s an ideal recipe for little hands to get involved. Agatha is at the perfect age to be super enthusiastic to “help”. Sure, her “help" usually ends up making more mess than if I had done it myself, it still helps to have company in the kitchen that can think of nothing more exciting than adding ingredients to the bowl. Maybe one day she will cook whole meals for me one day I’ll get back all that extra clean up time in spades. So back to the recipe. This was one of the more simple ones I’ve tried from Blue Apron but delivered on teaching me a new skill and making a tasty meal for the family with limited time involved. They also did something lots of Italian chefs would love to keep a secret - adding ricotta cheese into the meatball mix to make them fluffier. You don’t really taste the cheese but they make a big different in the resulting ball. 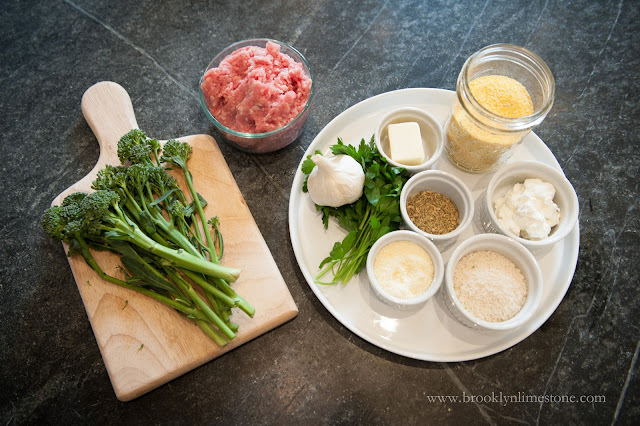 Finally, I love how they elevated this simple dish with the addition of some fresh broccolini giving the rest of the dish a lightness you wouldn’t get with just meat and starch. The ingredients are wholesome and fresh and of course the best part - delivered straight to my doorstep with exactly the right ingredients. No time wasted going to the grocery store and no food wasted by buying ingredients I wouldn’t use. Prep is easy. Chop up some garlic and parsley. Boil the Broccolini for a few minutes before setting aside. 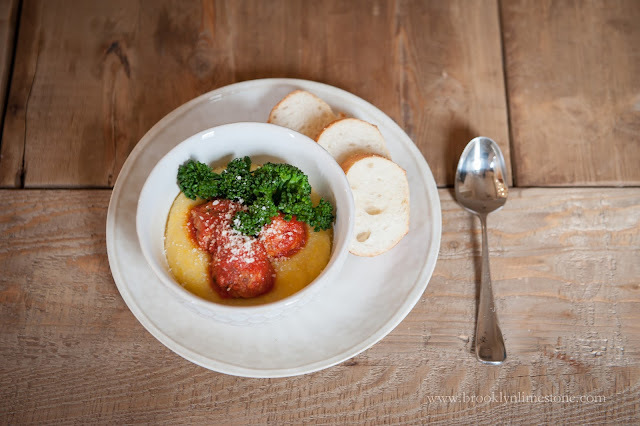 Make the polenta by simply adding the dry polenta into boiling water and adding butter at the end. (Seriously - thats it!!) 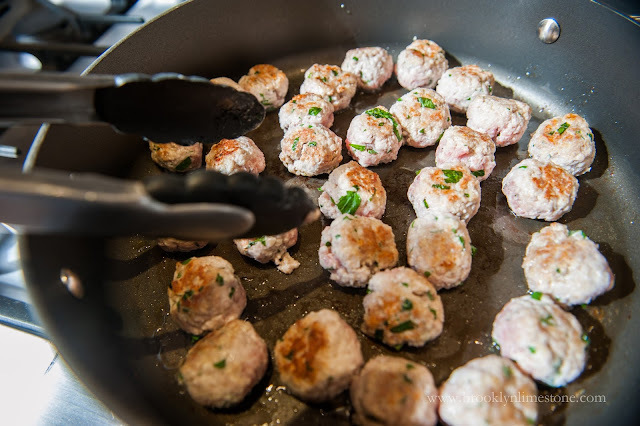 Make the meatballs with the meat, cheese, parsley, breadcrumbs and herbs and sear. Add crushed tomatoes to the pan and simmer until thickened. Serve and enjoy. Couldn’t be easier and mastering a new recipe makes me feel like a domestic goddess even if all the hard work was done for me! I’m really looking forward to trying my hand at Greek food with this Chicken Souvlaki recipe and Northern Spain with this Baked Empanada recipe. Want to give Blue Apron a try? 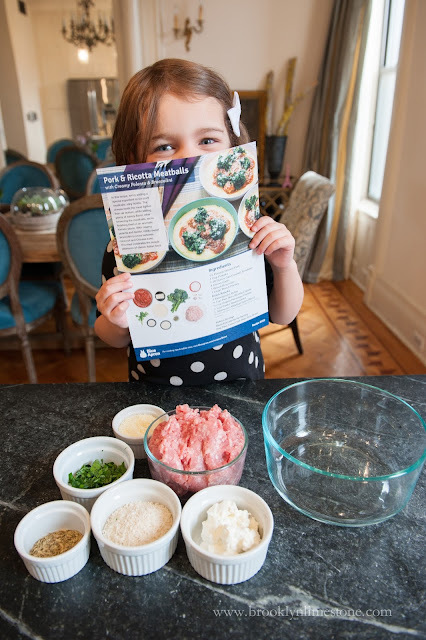 The first 50 readers will get two free meals on their first Blue Apron order. Just click here. Disclosure: This post was sponsored by Blue Apron but all opinions expressed are my own.